The information contained and accessed on www.malaysiaco.com.my (the “Site”) is provided for general guidance and is intended to offer the user general information of interest and is not an exhaustive treatment of such subject(s). Accordingly, the information in this document is not intended to constitute new company registration, accounting, tax, legal, investment, consulting or other professional advice or services. 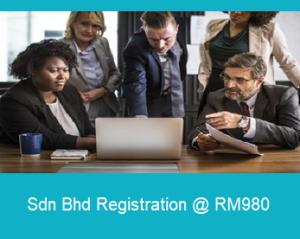 You should consult with a MalaysiaCo in the respective new company registration, audit, advisory, tax or other professional area. This document and the information contained on this Site herein is provided “as is”, and MalaysiaCo makes no express or implied representations or warranties regarding the information provided on this Site. Without limiting the foregoing, MalaysiaCo does not warrant that the information on this Site will be error-free or will meet any particular criteria of performance or quality. MalaysiaCo expressly disclaims all implied warranties, including, without limitation, warranties of merchantability, title, fitness for a particular purpose, non-infringement, compatibility, security and accuracy. Your use of this document and information is at your own risk. You assume full responsibility and risk of loss resulting from the use of information on this Site. None of MalaysiaCo or any of its affiliates, partners, agents or employees of any thereof will be liable for any special, indirect, incidental, consequential, or punitive damages or any other damages whatsoever, whether in an action of contract, statute, tort, (including, without limitation, negligence) or otherwise, relating to the use of this document or information on this Site. Based on the fundamental universal condition of the electronic communication process, MalaysiaCo does not guarantee or warrant the Site will be uninterrupted, without delay, error-free, omission-free, or free of viruses. Therefore, the information is provided “as is” without warranties of any kind, express or implied, including accuracy, timeliness and completeness. In no event shall MalaysiaCo or any of its affiliates, partners, agents or employees of any thereof be liable for any direct, indirect, incidental, special, exemplary, punitive, consequential or other damages whatsoever (including, but not limited to, liability for loss of use, data or profits), without regard to the form of any action, including but not limited to contract, negligence or other tortuous actions, arising out of or in connection with the Site, any content on or accessed by use of the Site, or any copying, display or other use hereof. As content on the Site is copyrighted, any unauthorized use of any materials on the Site may violate copyright, trademark and other laws. Should a user download the materials on the Site for personal or non-commercial use, the user must retain all copyright, trademark or other similar notices contained in the original materials or on any copies of the material. Materials on the Site may not be modified, reproduced, publicly displayed, performed, distributed or used for any public or commercial purposes without the explicit written permission from the appropriate content or material provider (including third-party links). MalaysiaCo bears no risk, responsibility or liability in the event that a user does not obtain such explicit written permission as advised by MalaysiaCo. Certain links in this Web Site lead to resources maintained by third parties over whom MalaysiaCo has no control. MalaysiaCo makes no representations or warranties as to the accuracy of, or any other aspect relating to those resources. By accessing this Site, you agree that the law of Malaysia shall govern such access as well as the above terms and you agree to submit to the exclusive jurisdiction of the courts of Malaysia.